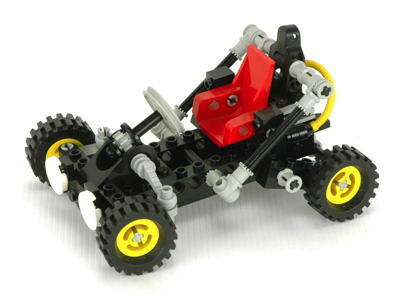 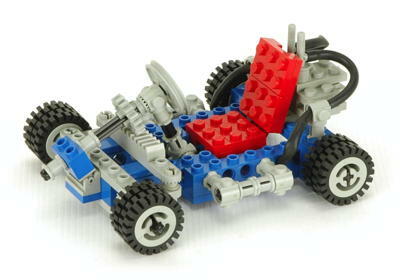 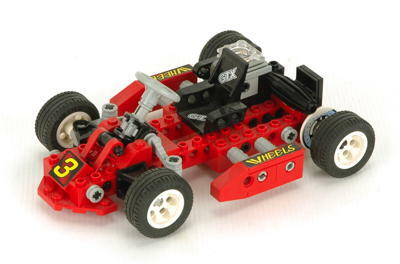 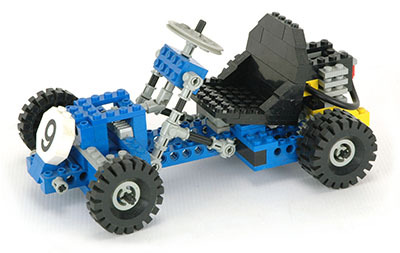 This is a tough category because many sets could be either a go cart or a dune buggy, depending on your point of view. 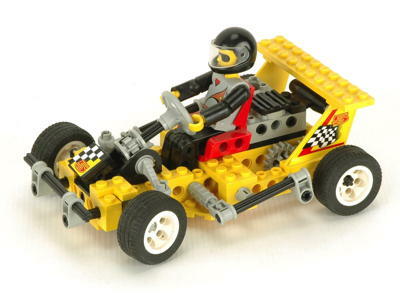 In this context, go carts are defined as small, single passenger vehicles intended only for use on hard ground, usually with a rear mounted single cylinder engine and a solid axle. 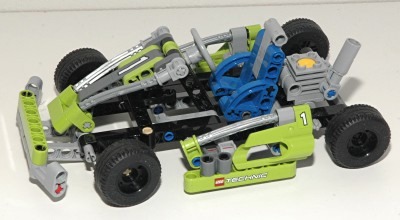 If you don't see what you are looking for here, it is probably under Dune Buggies. 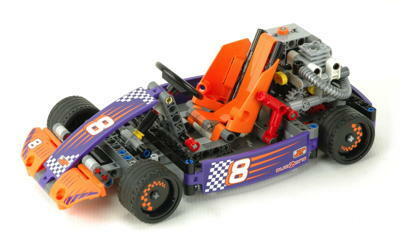 Most of these models are pretty similar with a 1 cylinder engine and a solid rear axle, just like real go carts. 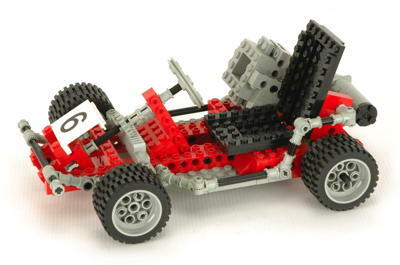 Any of them are good choices, but 8842 is probably the best along with the much newer 42048. 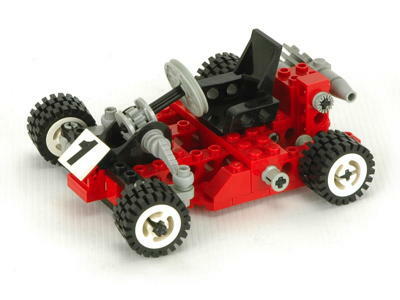 8219 is surprisingly hard to find.